Win an iRobot® Roomba Every Day! 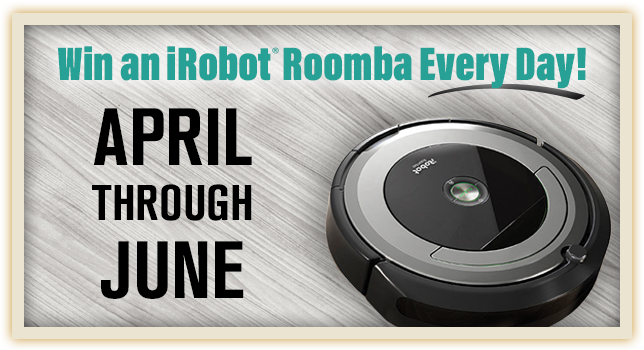 Play each day in April, May, and June for your chance to win an iRobot® Roomba 690! Entries qualify only for that day’s drawing. Drawings will be held at 7 p.m. each day. Entries must be activated after 4 p.m. for that day’s drawing. iRobot® is not a sponsor of or participant in this promotion. See Players Services for details.